Let’s have a look back over 2015. It was by far my poorest performance in the last 5 and a half years I have been betting. The last yearly review I did was in 2013 where I made $113,171.84 at a 2.79% ROI. I started my journey way back on July 1st 2010 and that means I never really know how I have done over a calendar year unless I take the time to combine 2 spreadsheets. As I have mentioned in this article, how you feel in regards to your betting can change depending on the time frame you look at. One year is a pretty decent amount of time, especially when there are 7,143 bets over that year. These reviews are a good exercise for me to see not only how I have gone, but also where I can improve. I will cover everything I feel relates to betting, so will show my profit and loss figures for the year, how much I earned from side betting hustles (CC rewards, promos, prizes), travel, health and this blog. First a recap of my goals. 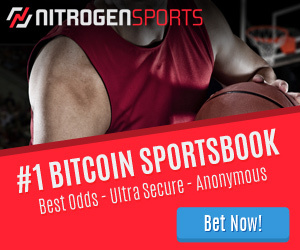 This blog and my betting started with me trying to make $10,000 each year from betting (hence the daily25 name: $25 a day is pretty close to $10,000 a year). I quickly realised that my goal should actually be 10x that and changed the plan to $1,000,000 in 10 years (or $250 per day). I hoped to travel the world while earning a great side income from betting. Up until today (Jan 4th 2016), I have made a profit of $424,870.00 at an ROI of 1.66%. I have been doing this for 2014 days, so that works out to be $210.95 a day profit. This is just the pure profit from following tipster services and does not include all the extra income I generate from credit card rewards, matched betting and so on. Over the years my goals have changed and the life I wanted 5 and a half years ago is not the same one I crave now. Now that I have a family, my initial goals of spending the money travelling the world have morphed into me investing the winnings in the quest to retire early so I can spend all my time hanging out with my family (and any future kids) and working on projects I love. Even though I am nowhere near retired, I feel I accomplished those goals in 2015. Let’s start with the pure betting. In 2015 I bet a total of $7,187,648.20 and made a loss of $298.48. That is crazy. For all the highs and lows throughout the year, I ended up right where I started. This graph is a great summation of betting in general. Massive swings, highs and lows throughout the year and nothing to show for it in the end. 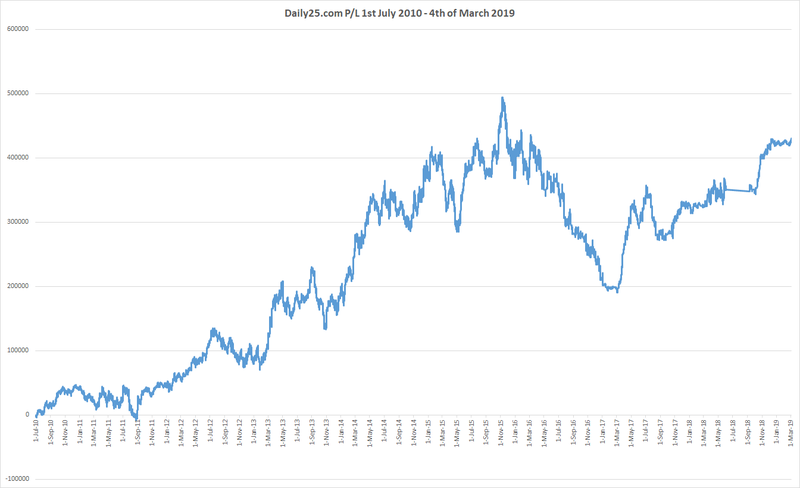 2015 started out strong with a quick jump to $38,081.00 profit on the 16th of January but then it was a slide down to –$62,982.00 by the 18th of March. After a $40,000 recovery it went on another downturn and hit it’s lowest point of the year on the 9th of May. 5 months into the year and I was sitting on a $94,516.00 loss. But as these things tend to do, variance started going my way and 1 month and 4 days later I was back to evens for the year. By the end of July I was back to a very healthy $48,900 profit. The next 3 months gave all those profits back and on the 26th of September I was once again back to parity. Then the magic happened, a great Soccer run took me to a yearly high of $111,317.79 by the 7th of November. With less then 2 months in the year to go, year 5 was shaping up to be amazing. But our friend variance had other ideas and worked its magic to leave me downing my sorrows on new years eve and nursing not only a hangover, but a loss of $298.48 for the year. When the average amount bet each week is $138,224.00, weekly swings of $50,000 can happen. You can see a downswing of $132,597.00 at the start of the year and another of $111,616.27 at the end of the year. The swing from lowest (9th of May) to highest (7th of November) was a profit of $205,833.79. So that is the overall picture. We can now look at each individual sport. The pattern continues year after year and I am too dumb to accept it year after year. The AFL model makes all of the profit and the Soccer models give it all back. My stubbornness in regards to this has cost me not only profits, but time and a lot of stress. I did make changes for the current Soccer season and a small profit has been made, but I’m not sure how much longer I can keep doing the same thing and expecting a different result (insanity??). Golf is another sport I just can’t get right and is an easy one to get rid of in 2016. There was some success with the MLB and NBA (NBL accounted for the big basketball loss) but not much else to write home about. It is a bit unfair to lump all the other tipsters into one group but I still have not found any other tipster that is as consistent as Sportpunter. If I had just followed the Sportpunter models in 2015 I would have bet a total of $4,238,133.00 for a profit of $71,490.51. That’s only a 1.68% ROI, but I would have been ecstatic with that. The Sportpunter models are by no means perfect and I will be dropping some in 2016, but they are better then anything else out there. So a very poor year. But the positives are that in my worst year I broke even, that means the potential is there for some great profits when it does all go well. I have no doubt I will have one very big losing year in the next 5 years, but hopefully that comes after many winning years. The way I bet (and the only way I believe people can make a long term profit) is to go after huge turnover and a small ROI. I’d like to bet between 6 and 8 million a year and make 2% ROI ($120,000 to $160,000 per year). Over the last few years I have been lazy in regards to maximising my profit from this turnover. There are a number of ways to add an extra 0.5 to 1% ROI. In 2015 I only used credit card rewards. Sadly this revenue stream will die on the 27th of Feb 2016. But I did take advantage of it in 2015. For every $1 I deposited into an aussie sportsbook I received 2 ANZ reward points. 25,000 points convert to $100 (it used to be 20,000 = $100). That means every $12,500 I bet I would get $100 back. Instead of converting my points to cash, I like to convert them to frequent flyer miles so when I do travel I can do it in style. Most aussie books have limited me, but I still deposited as much as possible this year and combined with a promo at sportsbet I took advantage off, I managed to earn just over 7 million points (about $30,000 if converted to cash). That promo also netted me about $30,000 cash profit. I also won a Betfair VIP competition in 2015 which paid me $22,000 and took the Tattsbet Superbowl trip valued at $17,000. Finally I also take advantage of all the bookmaker promo offers. My site Dailyprofit also shows you how to make risk free returns from the bookmakers promo offers. I have been lazy with these this year but still netted $11,000. So while I made no profit from the pure betting. I managed to make $110,000 in rewards, promos and prizes. I’m positive this was a one off with the rewards points ending and NSW being bonus banned, I will be lucky to make $5,000 in 2016. This is by far my biggest regret for 2015. Over the last 2 years I have let myself go. I have worked hard on a few projects and that has resulted in me sitting in front of my computer all day. I play one game of indoor per week and have noticed my fitness get worse and worse each week. As I am a nerd, I have scales that records my weight, while I only put a few kilos on in 2015 I plan on getting back into the 80-85 range I was a few years ago. Fitness will take precedence over everything else (apart from Family) in 2016. I had no plans to travel in 2015. With a newborn I thought I would be lucky to get down the coast for a weekend, let alone travel the world and see two massive sporting events. Lucky for me I have the best partner in the world who happily looked after Ollie while I jet set around (I owe her massively). To add even more luck, I only had to cover spending (drinking) money while on both trips. The first one was from the 29th of Jan to the 9th of Feb. It was the prize I won through tattsbet (now Ubet) to watch the Superbowl. We spent 2 weeks in Arizona watching the PGA, NBA, NFL and NHL. It was an amazing experience and I managed to tick off a heap of bucket list items. What an amazing game to witness as well. Shame I had money on Seattle. The other trip was to the UK at the end of October to early November to watch the Rugby Union World Cup. I arrived the day of the Australia v Argentina semi final and also watched the 3rd/4th playoff and the Grand Final. These were the only 3 games of union I have ever watched and if only Australia could have won it would have been the perfect sporting trip. This trip was won by my mate (who came to the Superbowl) who is a business superstar, he is always winning some award and this prize was for most sales or something like that. Through the power of reciprocity and also his wife deciding not to go, I was the lucky one to get the other ticket. I did pull my weight and used some frequent flyer points to upgrade our seats on the flights. I worked on a few things in 2015. I love to create new things. I need to learn to continue with them though. I start something and move onto the next thing too quickly. In 2016 I will concentrate on one thing at a time. This was created at the end of 2014 and helped raise over $23,000 for charity. It allows people to give to charity based on stats in sporting events. So you can give $1 for every 6 hit in a cricket match or goal scored in a soccer game. For every $1 you donate you get 1 ticket in the prize draw (where you win signed memorabilia from that match). Sadly I had no time to devote to it in 2015. 2015 was a test for this site. I ran a few competitions to give away access to tipping services. We gave one lucky members access to over 20 tipsters and $1,000 in free bets. All up the value was $33,000. Once again I did not follow through with this, but will in 2016. Expect to see many more prizes and competitions this year. Smartbet is the one project I will be concentrating on most in 2016. You can read all about it here. It will allow you to grab your betting data from all your bookmakers accounts and see how much you have won or lost. Not only that, it will give you tools that only the professionals have which will help you drill down into your results and help you make a profit. This was the first full year for the dailyprofit service and it exceeded my expectations. I will do a full report this month on how much the site made and how the members did. The site will continue to grow in 2016 and I have big plans for Dailyprofit to become the biggest tipping site in the world. This website took a backseat this year. Apart from the weekly updates, I did not get to write as many articles as I hoped. I have over 100 article ideas ready to go, it is just a case of finding the time to research and write them. The sites traffic continues to grow and in 2016 I will create at least one huge post each month. I will be going for quality over quantity in 2016 and hope I can write something you find entertaining or helpful. I have also moved from a weekly profit and loss update to a monthly one. This should give me more time to work on other posts. Looking back on 2015, I feel exhausted. Before I sat down to write this, I felt 2015 was a pretty poor year, but reflecting on it all like this shows how awesome it was. I’d happily make $0 from betting each year if the years were always like this. My hope for 2016 is that my betting returns a profit and smartbet is a tool you are all using. I already have a trip booked this year so there will be a few months of travel. Hopefully you will see a healthier and slimmed down Steve in 2016. Thanks for coming to the site and reading my rants over the last few years. Let me know how your 2015 was (betting wise and life in general) in the comments below. Big big fan of your site. The idea of of supplementing that income with rewards/promos is something I haven’t paid much attention until now. In your comment regarding Feb 26, can you please elaborate? I mainly use Pinnacle (US version), bookmaker and sbobet and looking to get ANZ rewards card to get points on deposit. 27th of Feb is the day ANZ is stopping points for gambling transactions. Hi Steve , Well done at least you didn’t loose much and hope you have a much more succesful year this 2016! I usually bet on Soccer and now i want to make $20 – $25 a day from an input of $100. Basically i’m looking for a high chance of success bet that will give me a multiplier of just 1.2 -1.25. Sounds simple enough $25 a day would equal $750 a month . Believe it or not that would be life changing for me in my current situation. It sounds simple but that is almost impossible. If you have $100 you should be happy with $1-$2 profit per day (and that is if you have turned over the complete $100 each day). If you can double your bank over an entire year you are doing better then 99.99% of punters. If you chase after a 20-25% return every single day you will lose the money before the month is out. I’d say take your time and aim for that 1% return and learn along the way.. remember that once you have found something that works, the returns will grow exponentially. Steve, Did you do a break down per bookie this year? I’m following the same path as you are and reading your posts gives me confidence. I’m about the same age, in 2015 I was blessed with a son and I’m currently trying to become a professional bettor. I’d like to give it a go to bet in the AFL. Which bookies would you recommend for AFL other than pinny for better odds? (I’m from the UK and access is restricted here). Topsport allows international customers. Pinnacle is by far the best though, maybe look into ways of getting an account with them, I’m sure it’s still possible. I opened the dailyprofit spreadsheet and noticed all the sportpunter bets for AFL, NRL and Super 15 were done with Topsport. Do they simply offer better odds than Pinnacle on the Aussie sports? not better. They have $2 lines. This makes it as simple as possible to record odds at one bookmaker. The line is rarely the best. I record at what I call lazy man odds. 1 bookmaker usually. So by putting in an sort of effort you can match or beat the recorded odds.